We often get asked for tips on how to travel on a budget as entrepreneurs. 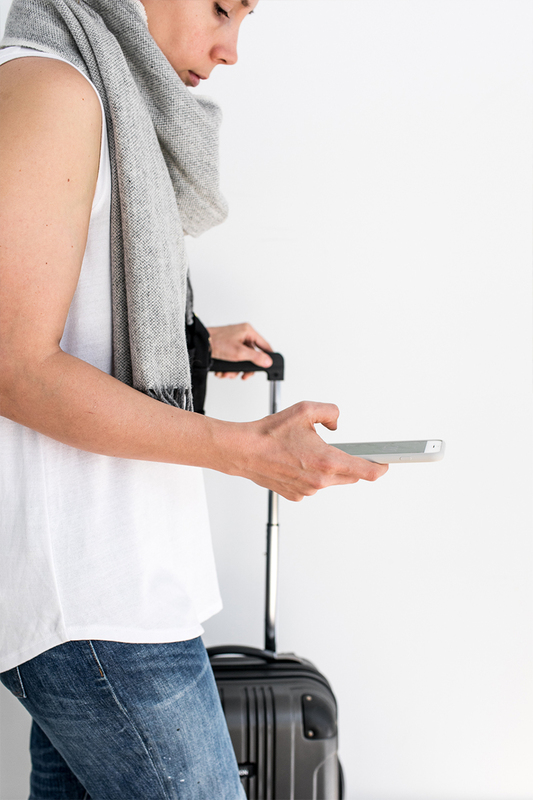 One of our favorite tricks to make travel more affordable is to share a trip with friends or family. When we traveled to Paris for four weeks, we split our Airbnb with friends. One of us would rent the place and the others would split up the difference and pay back the person who booked the place. It would take a typical $1,200 rental for four days to $300 or $400 per for those days instead. Ultimately it left more cash in our pocket so we could enjoy the city even more without giving up having a nice place to stay. Back then we had to pull cash out of an ATM (with a $10 charge every time) and then walk around with euros stuffed in the bottom of our camera bag hoping it would be safe. It was complicated, messy, and possibly dangerous but now, just like everything, there is an app for that! 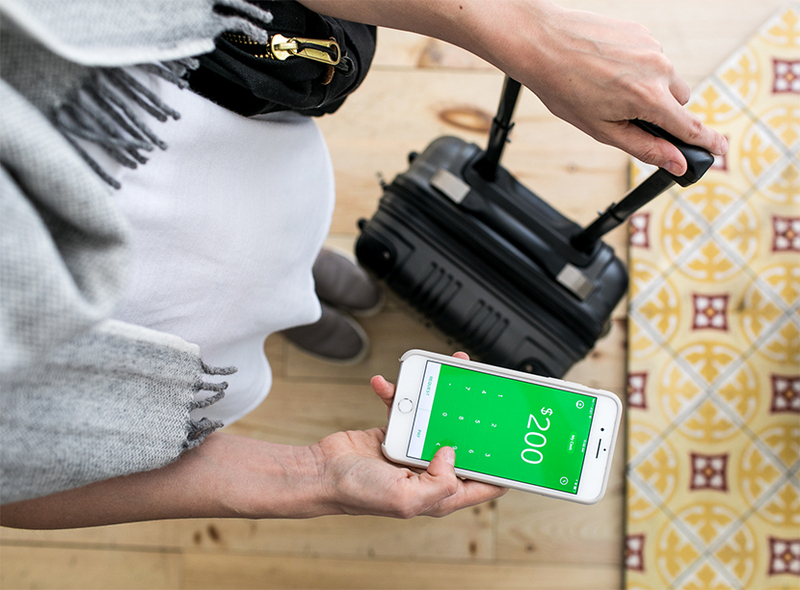 Enter, Square Cash an easy way to transfer money and pay friends and family with ease. Let me tell you more. This spring we are heading to NYC and Copenhagen with Mike’s parents. We have been planning the trip far more in advance since we will have Hayes with us, but since Mike and I have done a lot of traveling with Airbnb, we booked both of our rentals and then split the payment. While we are traveling, I am sure we will be splitting meals (since many times they won’t divide checks) and groceries over and over again. Square Cash will make those situations extra easy so we can focus on the moment we are in and less on keeping tabs on who owes what. We can transfer the money to each other quickly and easily while sitting at the restaurant or after returning from a grocery trip. Now, Square Cash can be used anywhere Apple Pay is accepted. It creates a virtual card that pulls from your Square Cash account. Having Square Cash on our upcoming trip will be a wonderful way to split costs, save money, and add a lot of ease to our trip this spring. If you have upcoming travel with friends or family this spring or summer, I highly suggest you download the app. It is free and the best part when you sign up and then refer a friend (particularly the one on your trip) and that friend spends or transfers at least $50 you both will receive $10 in your account. Really beats those international ATM fees, right? I would love to hear how you make travel more affordable? Do you travel with other people? How do you share in experience and expense? What ways have you split up costs in the past? Also, any great tips for flying with a toddler overnight for 8 hours? This post was in partnership with Square Cash. All thoughts and opinions are our own. Thank you for supporting the brands that support The Fresh Exchange every month they help make it possible for us to create content for you every day that you love. This makes things SO much easier when traveling or even eating out with friends. I’ve taken to doing this and then having them VENMO or QuickPay me afterwards – definitely going to have to look into Square Cash! I just recently was was introduced to Square Cash from a friend while traveling, and you’re right! It makes things SO much easier!! A couple of taps, and you’re done. Thanks for reminding me to take advantage of it the next time I’m out and about with friends, near or far! It works so well! We have been really impressed with it over a few other options that are out there. I love square cash. 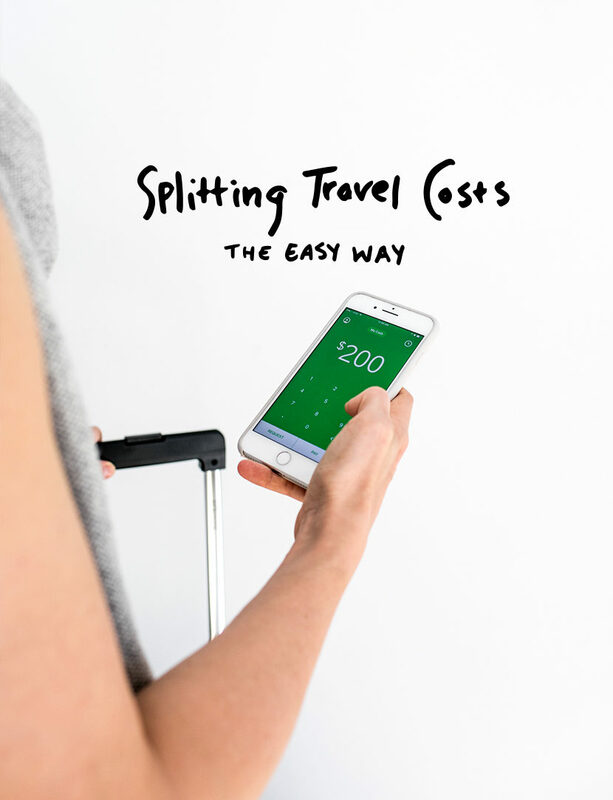 I have also found splitwise really useful for travelling with freinds– it lets you enter everything everyone pays for and calculate how much everyone owes at the end of the trip so that you don’t have to do the math yourself. Ditto Splitwise–it simplifies a trip with just one other person, but it really shines when the group gets bigger than that. Just enter the amount for each transaction into your group “trip” and you can see a running talLy Of What each person owes. It’s actually kind of fun! I just flew from the uk to australia and back with My son who is The same age as hayes. I found taking minimal carry on, using his sleeping cues (wash/PJs/book/milk/bed) helped. Dont expect much sleep! He did about 5 of his usual 11 hours For his night sleep. I sweet talked the flight attenda into finding a spare row for us to lie him down which was great. And i took my ergo and he napped in that. Eight hours is doable, it will go quickly! Oh this gives me so much hope! I figured I wouldn’t get that normal 11/12 hours out of him, but I at least need and want him to get a good 4-5 hours so he isn’t super off when we land. Did you keep the crib consistent on your crib? Each place we are going has a travel crib for us, but I am a little wary of that because he seems to have a hard time adjusting to new sleeping situations. I don’t want to haul a travel crib but if it means he sleeps better I am considering. Square Cash is so freaking handy, I use it all the time when going out with friends and coworkers. I’ll have to remember to use it whenever we travel with a group, it is such an easy way to split costs! THank you!!! You have given me such a peace of mind. Seriously!!! I appreciate this so much. We don’t nurse but he still takes a bottle. He stopped wanting to nurse and got bored with it at 10 months. I wanted to make it till 12 months, but he just wasn’t having it and pushed me away one night and refused it every day after that. A week later he got his first teeth so I don’t know if it was his way of just moving on or what. Who knows. But he sleeps well and loves his bottle. Aw, it’s too bad it didn’t work out for you but hey, breastfeeding is freaking hard! Kudos to you for making it so long. For the plane a bottle will work just fine. 🙂 As will a pacifier if he takes one. And about the crib mentioned above, we brought a travel-sized pack ‘n play and found it to be a waste. But that was only because we were still bedsharing at the time, so he wasn’t used to sleeping on his own (I had hopes haha). These days we find a travel crib to be absolutely necessary now that he is sleeping in his own bed. If you will be changing locations every few days it may be worth the hassle to bring your own crib if it means he is comfortable and will sleep better. You never know. We checked ours as delicate/oversized so it would (hopefully) be handled more gently. Good luck! International travel with little ones is exhausting but so worth it in the end. Have fun.